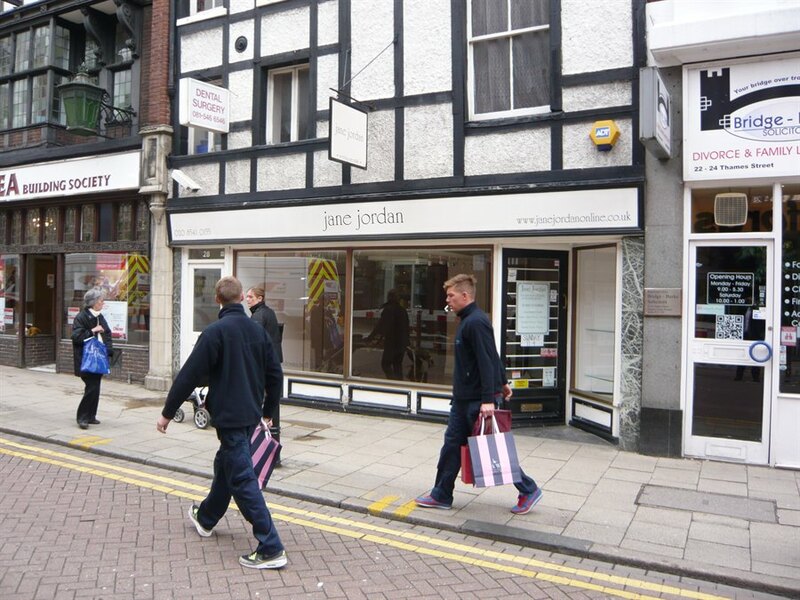 The property comprises a prominent self contained ground floor retail unit and first floor ancillary retail or storage space forming part of an attractive four storey Grade II listed building. 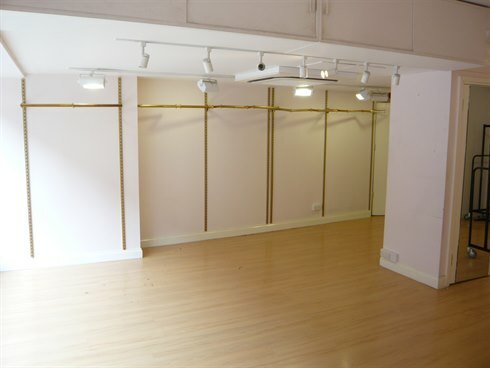 The retail unit benefit from a WC, kitchenette and comfort cooling to the ground floor shop. 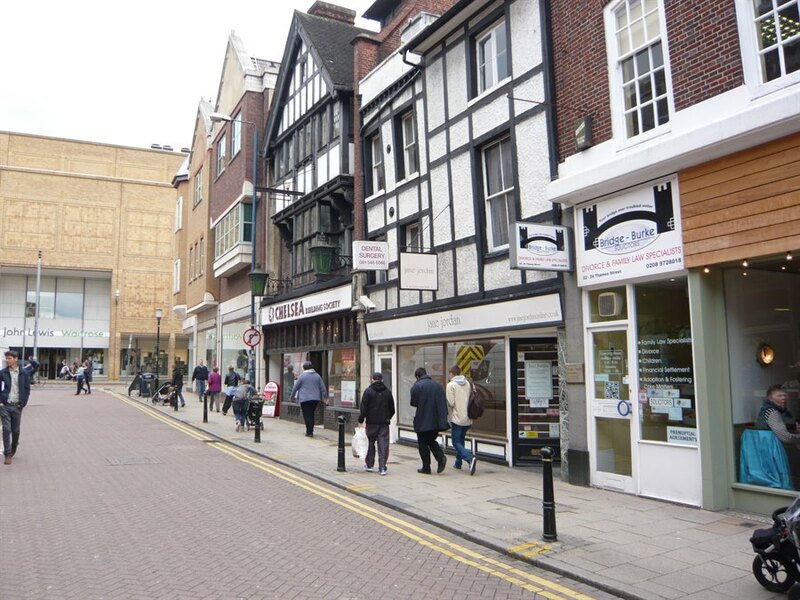 The property is situated in the heart of Kingston upon Thames on the busy Thames Street which leads from the Market Place to John Lewis department store. 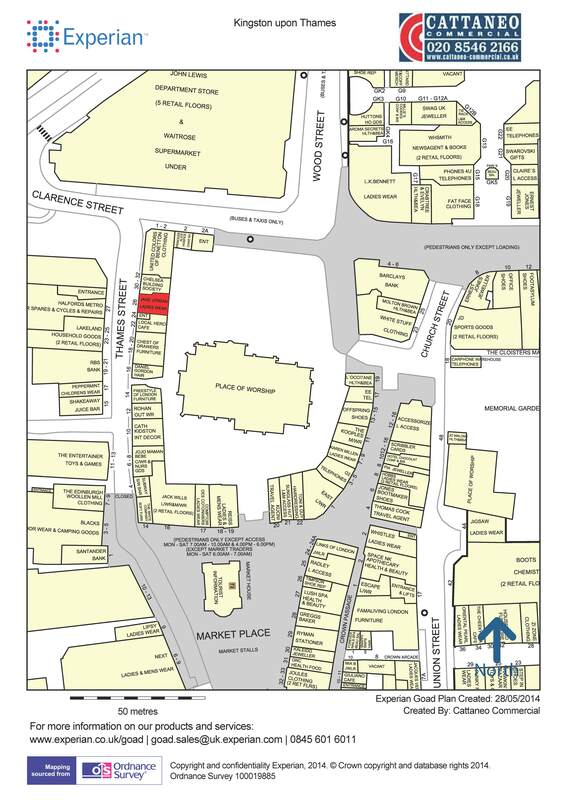 Nearby occupiers include Lakeland, Chelsea Building Society, RBS and United Colours of Beneton. Kingston town centre offers an excellent range of shopping and banking facilities. There is also a good range of restaurants and bars along the nearby river front. The property is available either by way of an assignment of the existing lease which expires April 2017 or a new effectively full repairing and insuring sub lease for the same term. Alternatively, a new lease may be available directly from the landlord by negotiation.